Gary Thompson of Tri-State Diving. Freshwater diving in the summer gives way to salvaging vehicles that have fallen through the ice in the winter. Gary Thompson is the guy you call when your car falls through the ice. We heard about Gary from our hosts at the Best Western Premier Lodge on Lake Detroit. We were in the small town of Detroit Lakes, Minnesota (population 9,000), to cover the 2018 PolarFest, a celebration of winter held in early February. And winter it was, with 30-inch deep ice on the lake and below zero temperatures (-18 degrees Celsius) each day we were there. PolarFest included an ice-fishing derby, the annual Polar Plunge, skiing, snowboarding and fat tire bike events, nature hikes, a sprinkling of concerts and lectures, and plenty of community involvement. This year, Detroit Lakes also built an ice palace on the shore of the lake and highlighted its historic industry of ice harvesting. The entire town seemed to be involved donating time, prizes, and enthusiasm. Whether based on the small size of Detroit Lakes or the large stature of Gary Thompson, we were assured we’d meet Gary if we just asked around. He’s a legend in these parts. The carousel? 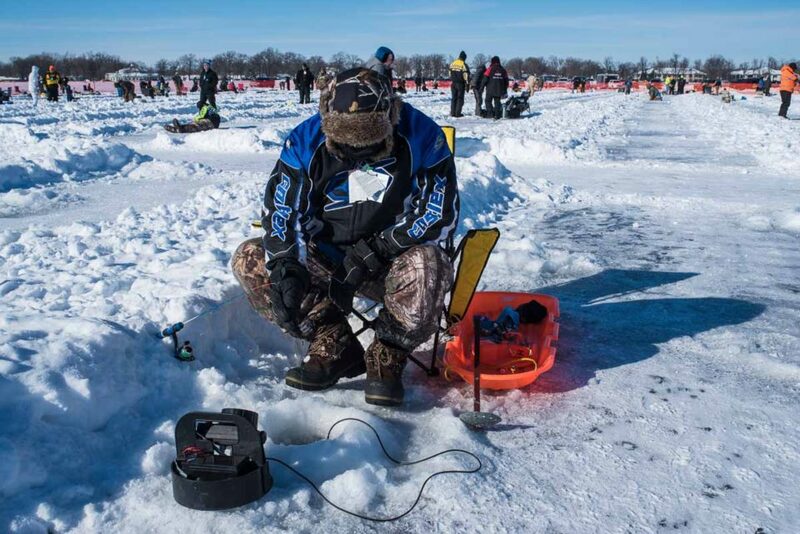 We thought this was an ice fishing tournament, not a playground. But after parking our car in the willy-nilly parking lot on the lake, we headed toward the derby headquarters, a large tent set up to serve beer and soft drinks, bratwursts and snacks, and to offer protection from the wind. Outside the tent was a holding pond for the fish that had been hauled up and a leaderboard noting the biggest catches of the moment. Keeping the body covered up and the ice hole from freezing over are key ice fishing skills. Beside the leaderboard, just for fun, was the carousel, about a 25-foot diameter disk cut out of the ice, floating within its circle and propelled by an embedded outboard trolling motor pushing the whole slab around in a circle. A wood fire in the center welcomed those who boarded by stepping across the slice in the ice. Thompson, we learned later, is just the sort of guy who would build an ice carousel just for fun. When we found Gary, though, in the afternoon towards the close of the fishing contest, he was concerned about the widening gap around the carousel and a particular child who was leaping back and forth from the ‘glace firma’ to the circling floaty. It was time to shut the carousel down, and he was all business. We arranged to meet later. Once we met inside, he was considerably more relaxed and willing to talk about his business. His company, Tri-State Diving, is a full service dive center offering instruction, dive trips, equipment sales and rentals, and special event work like prepping and spotting the folks who are jumping into frigid waters for the Polar Plunge charity. But we were here to talk about extracting cars from the bottom of frozen lakes. Over more than three decades, Thompson’s Tri-State Diving has salvaged cars, motor homes, fishing houses, semi-tractor trailers, pick-up trucks, assorted car trailers, ATVs, and snowmobiles, all dropped unwittingly through the ice. These undertakings are all the more complicated considering cold waters, heavy machinery, questionable leverage, and precarious ice. Recovering sunken boats in summertime seems simple by comparison. Patrolling the area means getting across the lake’s ice on a snowmobile. Seal, as Thompson is nicknamed, became hooked on scuba diving at an early age, inspired by watching the character Mike Nelson (Lloyd Bridges) on TV’s Sea Hunt. You can tell he still gets a huge kick out of tackling all sorts of underwater projects, like torch cutting or using underwater hydraulic chains. He talks quickly, eager to share some of the complicated solutions he’s designed to deal with tricky situations in dangerous conditions. He’s part inventor, part instructor, part adventurer and explorer. The cold water dives seem to keep Thompson busy and youthful. Though approaching 70, he could pass for a 50 year old, as if the waters themselves have a preservative effect. Thompson’s respect for water is palpable. (He may have talked me out of any future holiday introductory dives with his firm belief that the light training above the surface is woefully inadequate.) He is proud of his ingenuity and ability to do his job in a minimal amount of time, safely, and without further damage to the vehicles he’s pulling out. While Thompson knows he’s the best guy for the job (he’s been called in to help where others have failed) he manages to say so with an air of humility. Thompson’s first question when a caller says their vehicle has fallen through the ice is ‘have you reported this to the sheriff?’ Law requires the detritus to be recovered, and within a prescribed time frame. With a sheriff’s report, Thompson’s company brings in the insurance company; somebody has to pay for bringing up a car that will certainly be a total loss, just from scrambled electrical systems alone. This unnatural disaster is generally covered. Every sunken treasure presents its individual challenges. Sometimes locating the object is tricky, though easier these days with sonar. Still, understanding currents and knowing where to look can shave hours or days from the process. Then, based on the ice above the wreck, Thompson evaluates the best way out. If the ice is sufficient, Tri-State will work from directly above, cutting the smallest possible hole in the ice. The cut section of ice slides under the boundary to strengthen that working area. Then the machinery is brought in. From years of experience lifting heavy objects up out of the water onto neighboring ice, Thompson has devised his own patented equipment. The SUVE (Submerged Underwater Vehicle Extractor) he invented may sound redundant, but it works. Still, the job requires divers in the cold water, so time efficiency is important. In extreme cold, chainsaws freeze up, so the team might use a hydraulic system located in Tri-State’s custom trailer. In other cases, the ice is so thin the SUVE and other equipment can’t be supported at the scene. He told us about the fishermen in the middle of a lake (“I don’t know how they got so far out there”) who drilled their fishing holes and suddenly had water coming up around them. They got off the ice but the snowmobile went in. The Tri-State team needed to cut through 2,700 feet of ice from the shore and drag the floating vehicle to land, about a half mile distance. How do I know if ice is safe? Black ice: “Just before the ice goes off.” You may as well be walking on cold water. Thompson also cautioned against driving fast over the ice. 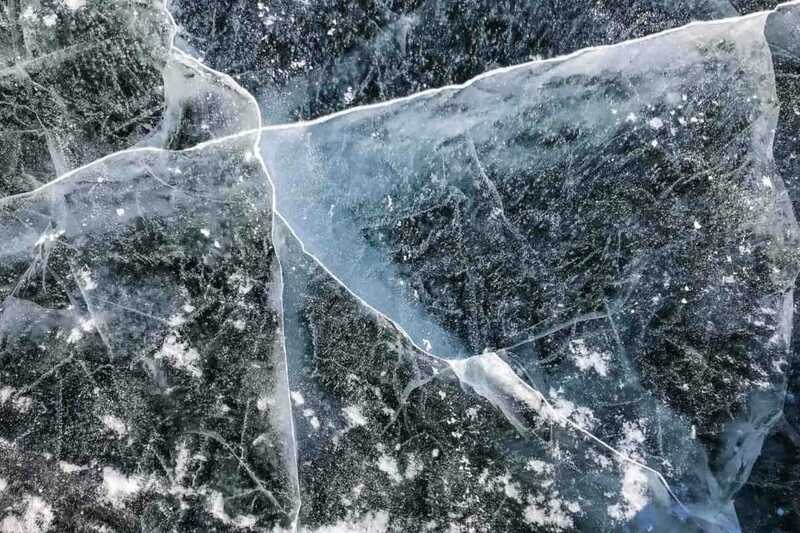 Far from helping you make it across a lake more safely, the speed makes the ice bend and wave causing water to surge up elsewhere, like a quaking bog. Clear ice near the fishing derby was about 30″ thick. No ice is static. Audible cracks and shifts are common. So far this season (the frozen lake season in Western MN and the Dakotas is roughly mid-December to mid-March) Thompson has pulled ten items from under the ice, with two more scheduled the week we met. 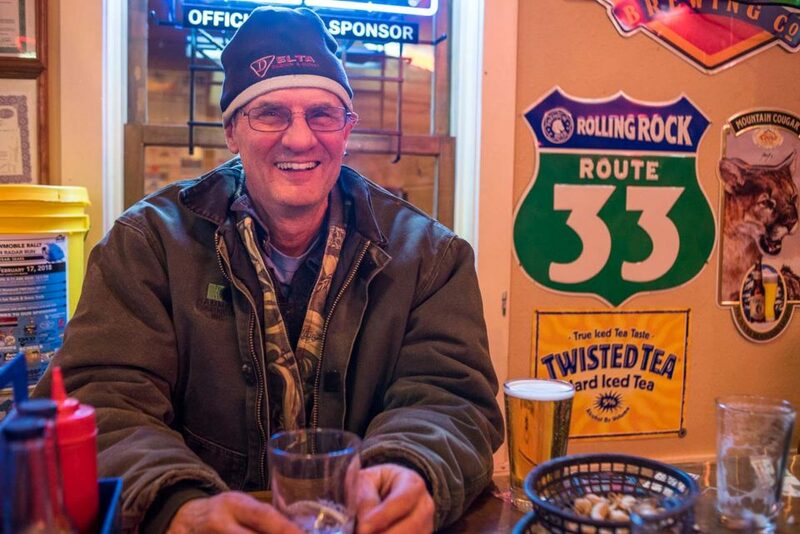 The last couple years, he handled about two dozen recovery operations per year. “We’ve still got a lot of winter left,” he said in early February. In Minnesota, the Department of Natural Resources requires removal of fishing houses by specified deadlines, dates varying from early to late March depending on the location. No matter the date given by the book, however, the message we took away is use some common sense and check the ice frequently. Tri-State Diving services don’t include repairing bruised egos. For more information about Detroit Lakes’ annual PolarFest, read our story on Best Western’s blog, YouMustBeTrippin.com. (Exact link to be provided upon publication.) 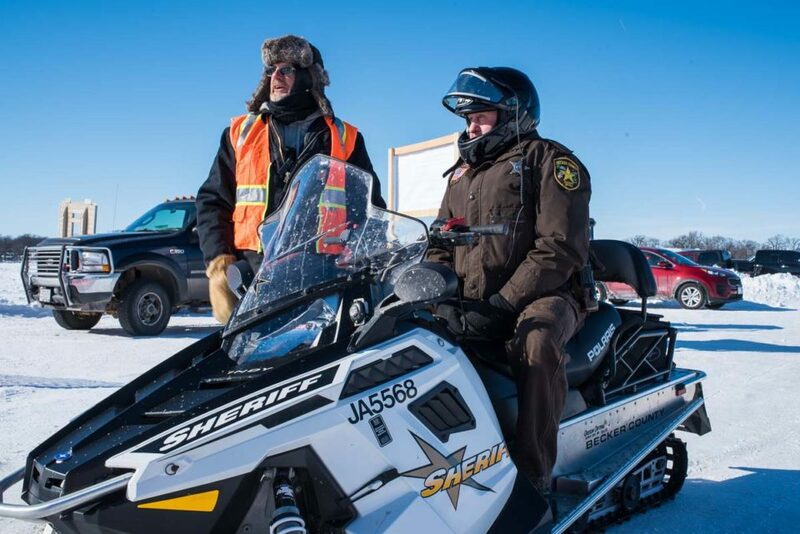 Minnesota’s DNR also provides good information on ice safety and ice reports for the state. Read their page about ice thickness before driving your car on the ice. City folk might enjoy our tips for enjoying winter in the metro area of Minneapolis and St. Paul.